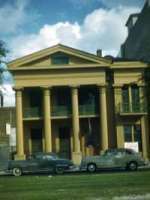 Amateur photographer Dorothy Violet Gulledge took many pictures in and around New Orleans during the 1940s, 1950s, and 1960s. 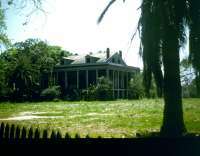 Her subjects included Crescent City buildings, Louisiana plantation homes, and carnival balls. Following her death in 1988, Ms. Gulledge's sister donated her slide collection of 3000 images to the Louisiana Division. The Gulledge Collection as a whole remains unprocessed, but we present this small sample as our December Images of the Month Gallery.